Manchester United manager Jose Mourinho said striker Romelu Lukaku's injury is not serious and that he is likely to play in the FA Cup final. Romelu Lukaku was injured during Manchester United's 2-1 win over Arsenal. 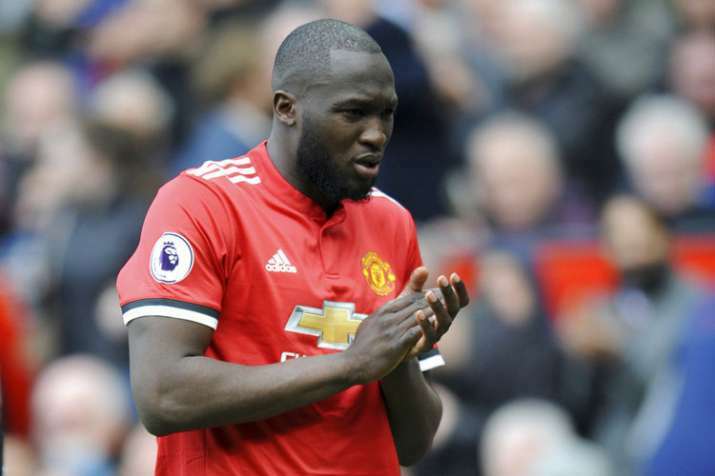 Manchester United manager Jose Mourinho says Romelu Lukaku is unlikely to miss the FA Cup final even though the striker hobbled off with a foot injury in the 2-1 win over Arsenal in the Premier League on Sunday. Lukaku couldn't play on after being on the receiving end of a challenge from Konstantinos Mavropanos and was substituted in the 49th minute. "I don't think it's something, or I hope it's not, that in this moment keeps him immediately out of a game that is in three weeks' time. But I don't know," Mourinho said. "He wants to play all the time. He is never tired and, when he has small things, he doesn't care. He still wants to go. So, for him to say immediately, to change him, it is because he couldn't play." United plays Chelsea in the May 19 final at Wembley Stadium. Belgium will also be keen to learn the prognosis on Lukaku, with the striker set to lead its attack at the World Cup starting in June.